I’m writing to you from a surprisingly sunny and hot China at the moment, which is quite different from my usual surroundings. Life often seems to race by in a blur at the moment, and its been quite a few months since I last posted anything personal. Since I love reading these sort of posts on other blogs, and getting a little glimpse into other people’s worlds, please drop me a link below if you’ve done anything similar lately. Manchester >> Italy >> China >> London >> Cornwall >> Croatia? 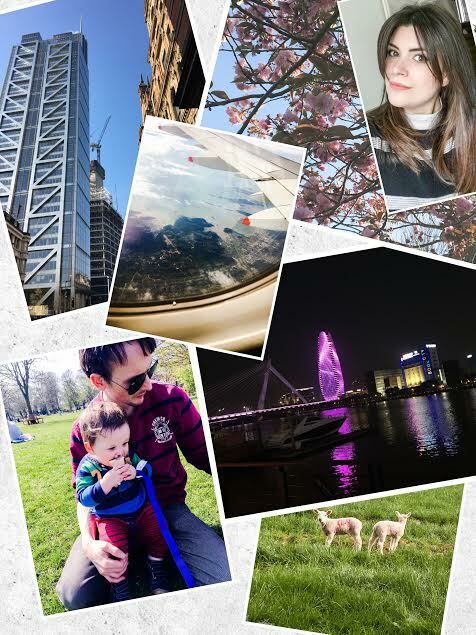 I’ve been off on my travels a fair amount lately, and I have a few other trips planned as well, so I feel a bit as if I’m living out of a suitcase right now – but it does give me an excuse to indulge in some organisation posts about packing and what’s in my travel bag, just the sort of thing I like! When I joined my current work back in October last year, they were just about to begin the monumental task of rebranding the university, and producing a global student recruitment campaign for the first time. Its been such an exciting thing to be a part of, from meetings to come up with quirky digital concepts promoting the new brand to photo and video shoots outside on the frosty lakeside. And now we’re beginning to launch the fruits of that hard work. I was up in Manchester briefly for the first launch of the campaign and 360 video tour of campus, and it went down really well. Manchester is a top city and one of my favourites to visit in the UK, but sadly I was too busy this time for any sightseeing or shopping! Next, I went down to London for a conference and recruitment fair across a couple of days. It was amazing to see the reactions people were having to the new campaign at first hand.I went back down to London a couple of weeks later for another conference in the heart of the city. I’m beginning to feel like the train is a second office these days! And as I mentioned, I’m currently over in China for the 10th anniversary of the campus here. Its my first time over here and so far, its going well. Last night I tried out a Korean barbecue restaurant where you order dishes of meat and vegetables and cook them yourself over a little wood fire in the table – and it was absolutely delicious. My hotel room has amazing views over the city skyline and a glass walled bathroom, plus some pretty impressive chandeliers. Of course, I’m missing my little boy like mad, but I knew I’d regret it if I passed up the opportunity to come here. I’ve got a packed programme of events including attending a mass wedding (yep. Really! ), an alumni garden party, giving lots of workshops and presentations and arranging some filming, so I’m sure it will fly by. A week and a half after I come back, we’re off on a family holiday to Lake Garda. We have been to Italy a lot recently but I absolutely love it – the foods, the scenery and the people are all so perfect. We’ve even talked about buying a second home there in the future. I’m looking forward to taking Theo to the aquarium and possibly visiting Milan, as its easy to get to by train from where we’re staying. Later on the year, we are thinking of visiting Croatia, which is another destination on my wish list. It would be more of a buckets and spades holiday, and I hear that the beaches there are stunning. I also want to take Theo down to Cornwall to visit my mum and the rest of my family there, and I know of some beaches there off the tourist trail that he would love. The town that I live in has an amazing selection of nice restaurants and bars, and just recently we had a Gusto open. We went along with Seb’s family and the kids make your own pizza was a massive hit with Theo! The restaurant and bar are filled with fairy-lit olive trees and its just a really nice atmosphere to hang out in. I went back a week or so later with my mummy friends, and got stuck into the cocktail menu, as well as some limoncello shots and a beautiful affogato for pudding. Yum! I haven’t seen the friends I made on maternity leave very much lately as work and home life have been so busy, so we’re arranging some days out in the summer to get all the kids together again. Since we've had a bit of spring weather, we've been concentrating on developing our garden. So a couple of years ago we moved into a Victorian house that had previously been student flats. The house had enormous potential but needed a lot of redeveloping. Progress has been quite slow, mainly because of Theo coming along, and we still have a big checklist of things to do. The garden we hadn't touched until the end of last summer when we began to redevelop it by adding in a patio, resurfacing the area next to the garage, creating vegetable, herb and flower beds, and creating an enclosure for our chickens. For the past two weekends, we've been adding in perennials to the beds and a couple of bushes of jasmine and magnolia, plus some raspberry and strawberry plants in the vegetable patch. We've also been building a hand woven living fence. The garden backs straight onto a waterway. This is lovely because we get ducks and swans paddling up to the back of the garden, but with a curious toddler it's also a potential hazard. We had to put up some kind of a fence but we didn't want to block the view entirely. So we came up with the idea of a living fence. Its hand woven with willow and then we will train climbing plants to grow up the fence that attract butterflies and bees like honeysuckle, wisteria and jasmine. Its unfinished at the moment as we need to get the plants in place, but the fence and gate are now up and working. Our next project is to fit out one of our spare bedrooms as a dressing room, and we're also getting all the external piping buried into the wall. Its such a small detail but hopefully it will make a big difference and make the house look more polished. My beautiful son is 18 months old now, and if that’s not madness, I don’t know what is! You know how your parents always harp on about ‘it only seems five minutes since you were a baby…’, well now I’m beginning to see what they mean! Every day is something new with him and he's starting to speak in sentences which is really exciting for me. Life gets a little easier each day as he's able to tell us more about what he wants. He can tell us if he's hungry, thirsty, tired or wants a cuddle, to be picked up or put down, if he wants to go outside and see our chickens, if he's too hot or colder if he wants a specific toy to play with. Its truly amazing. I'm super excited to start being able to have proper conversations with him. He's getting along really well at nursery and they do so many fun activities – from the usual painting and singing to yoga, cookery and nature walks. He's really interacting with the other children more as well, especially since he moved up from the youngest baby group to a slightly older one when the kids are up to two years and he wants to keep up with them. He's still very sunny in personality and loves to clown around to make us laugh. He's a very loving little boy as well and he already shares everything without us having to teach him – so for instance if he has a biscuit, he always offers mummy and daddy a bite and he wants everyone to be happy. This means a lot to me as its from his own soul rather than being something we’ve made him do. His main passions at the moment are for cars - he's quite literally obsessed, and ‘car’ or ‘tractor’ are often his first words on waking up!- and for the family chickens, who he loves feeding and playing with. Theo also really enjoys hanging out with his cousins. His Granny has them all on a Tuesday while the parents are at work, so he looks forward to that. I hope they'll be close as they grow up. Its not very often I get my hair done these days, so any trip to my favourite salon, The Little Hair Boutique, is to be celebrated. I hadn’t actually had my hair cut since I was about to give birth (bad beauty blogger, I know!) so I had all my dead ends lopped off and have returned to the ‘lob’ length that I like. I also had a long fringe put in, and some subtle balayage through the underneath and towards the ends. My stylist is very clever and she did it so that I won’t have visible roots that require a lot of upkeep. I’m very dark naturally but I have had my hair blonde in the past, and I shudder to think how much time I spent in the salon to keep the dark roots at bay! 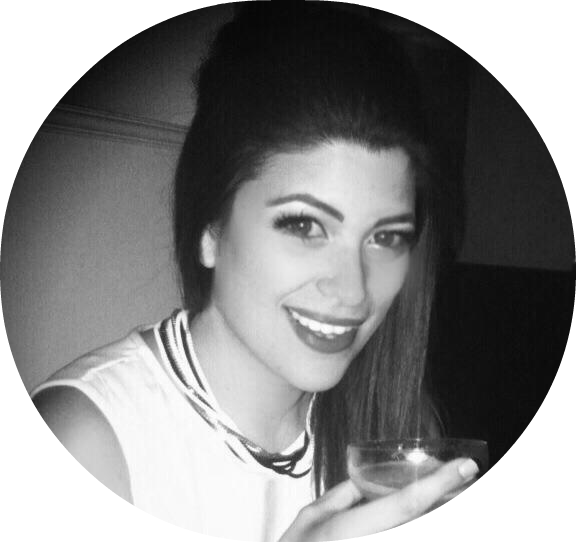 Then I went back to deep brown for my wedding and kept it that way apart from a brief fling with ombré ends when that was a thing. I am liking this new subtle shot of colour though as it just gives a bit of extra dimension and lightens things up for summer. We absolutely love visiting Yumacha for their dim sum Sundays, so we took Theo along a couple of weeks ago. His favourites are the char sui buns! They also do a great selection of teas, and I especially love the Apple & Mint, which comes complete with a fortune cookie on the side. Its great to take Theo out for food from a young age as it teaches him how to behave in public and gets him used to different world foods. Family time is so precious to us and we're really trying to make the most of it at the moment. Theo is growing up way too fast and he's not really a baby anymore. In one way it's good, because we can do more fun stuff wi him, but it also reminds us to make the most of every second. With Theo’s current obsession with cars, what could be better than a visit to factory where he can actually watch them being designed, built and developed? We took him along to Great British Sports Cars, home of the GBS Zero, to have a look. 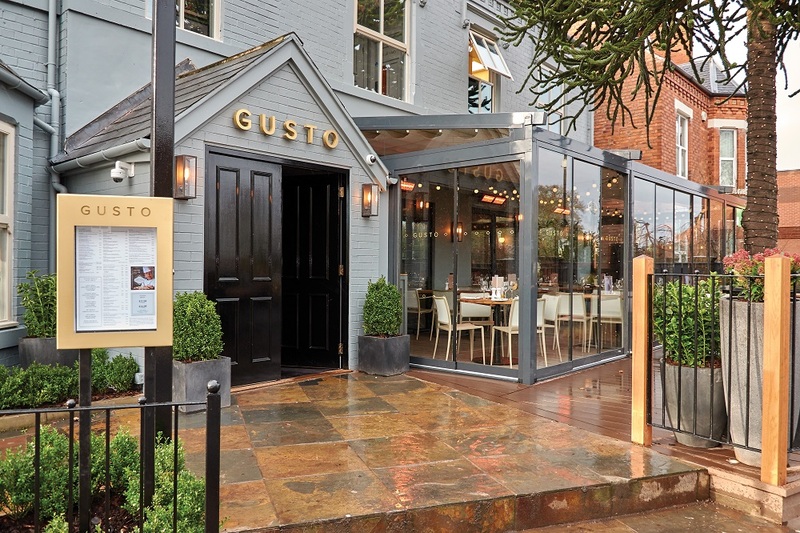 It’s the family business of our friend and Theo’s godfather, who is an engineer. They supply and design custom kit cars and parts, and have jut received some funding to make a low emissions electric model, which is exciting. We've been to track days before and had a zoom around the track in them, but it was our first time visiting the factory to see how everything is produced and designed.Theo had an amazing day and took a shine to this red Zero – perhaps he’ll want to follow in his godfather’s footsteps and study engineering one day! At the moment, I'm a little between series! I feel like I'm waiting for a few of my old favourites, like Better Call Saul and Prison Break to start again. 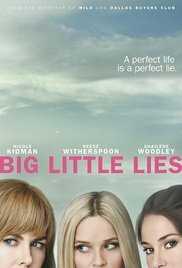 I have been watching Big Little Lies and really enjoying it, although it took me a couple of episodes to get hooked. The series follows the lives of a group of privileged mummy friends in beautiful Monterey, but one or more of them is hiding a dark secret…it's shot absolutely beautifully, particularly the interiors of the stunning coastal mansions the women live in, which is definitely making me wish I lived near the sea! Total house goals. Nicole Kidman, Reese Witherspoon and Shailene Woodley star, and I've really been impressed by the acting, although Nicole’s dreadful frozen plastic face is a tad distracting at times. Definitely worth a watch for the dreamy visuals and soundtrack alone. 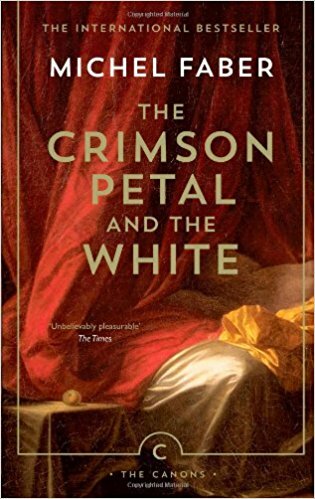 Over the past few weeks, I've been making slow but enjoyable progress with ‘The Crimson Petal and The White’ by Michael Faber. Its an epic Victorian novel that has flavours of the writings of Dickens and Sebastian Faulkes spanning years in the life of a London prostitute and the man and his mentally ill pampered wife that she gets entangled with. If you like a sprawling saga, I'd highly recommend it. 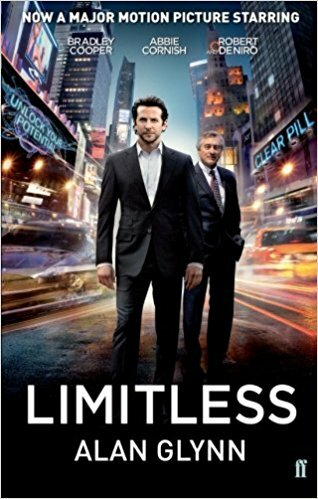 Now I've just begun ‘Limitless’ by Alan Glynn. You may have seen the film with Bradley Cooper which I really enjoyed. The novel has a few key differences though. Its about a slacking freelance writer who discovers a new smart drug that enhances his cognitive abilities to the point where he rises to make a fortune on the stock market, but plenty of complications, gangster entanglements and terrifying side effects lie in wait. And, it's not a book, but I haven't been able to stop raving about Readly, which is an app that lets you stream or download hundreds of magazines, from glossy fashion bibles to specialist titles. I'm a big magazine fan and usually spend at least £10 a week on them- they're my little escape from the world. With Readly you subscribe for £7.99 a month and can share the sub with others as you can use the account on up to 4 devices. You get a month free and so far I'm really enjoying it. I thought it might be weird reading them on my iPad but so far I haven't been missing the physical magazines and it's so much better for the environment and the state of my living room! I’ve been looking at history magazines and things I might not have bought before. Its going to save me money and hassle and I also like that you can set it to auto-download your favourites and notify you when there's a new issue, or that you can search through all the recipe magazines to find something. Genius! Again, it's been a while since a particular artist or album has caught my attention, and I'm just still obsessed with the YouTube channel Dynmk and its brand of dreamy, sensual electronica. 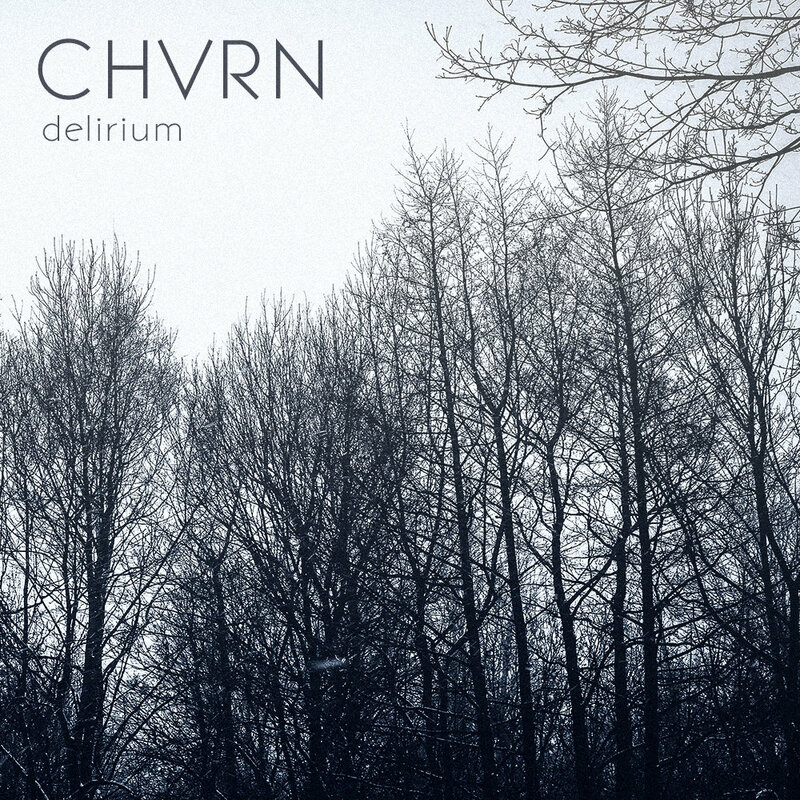 Favourite tracks at the moment include ‘Out of It’ by Mothica, ‘Sirens’ by Nylo and ‘Can't Sleep Alone’ by Sevn Thomas. 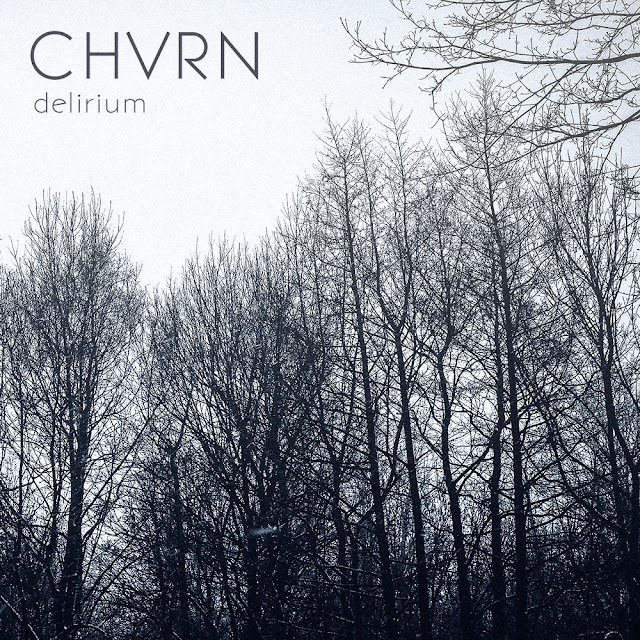 I'm also loving the track ‘Control’ by Chvrn which is mind blowingly good. And that's a little snapshot of what life's been like here lately. What have you been up to? 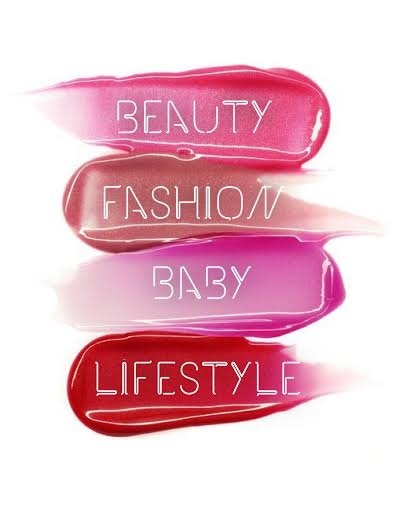 Comment of link me to your lifestyle posts below! Love this post! Your job sounds so exciting. I know a guy who does something similar for Aberdeen university and he's always jet-setting to Asia and Africa etc. Great shout on the Michel Faber recommendation. Have you read "Book of Strange New Things"? It's really good.